Color-coding isn’t just for organizing. Let the professionals at Tuscaloosa Toyota in Alabama install a perfectly matched rear spoiler and side moldings. Color-coding isn't just for organizing. Let the professionals at Tuscaloosa Toyota in Alabama ‐ serving Birmingham, Columbus, and Jasper ‐ install a perfectly matched rear spoiler and side moldings. 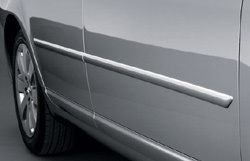 Installing a color-keyed rear spoiler and side moldings is a simple way to heighten your vehicle's appearance, with available metallic, mica, or pearl paint options. 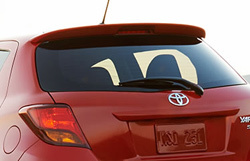 Specially contoured to perfectly fit, the addition of a rear spoiler will improve your Toyota's aerodynamics, while side moldings protect the body from dents and dings.